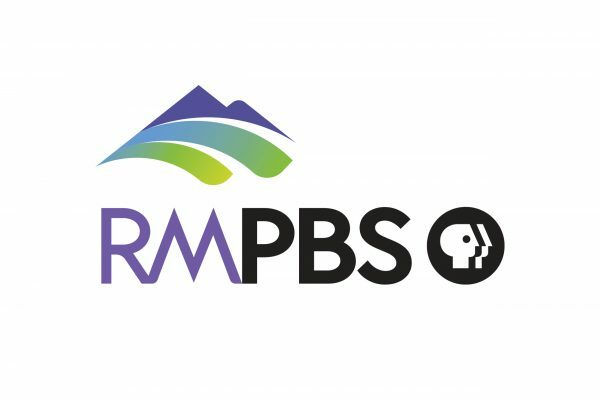 Our KidsFlash blog helps child advocates and policymakers stay up to date on the latest child well-being news from the Colorado State Capitol and around the state. 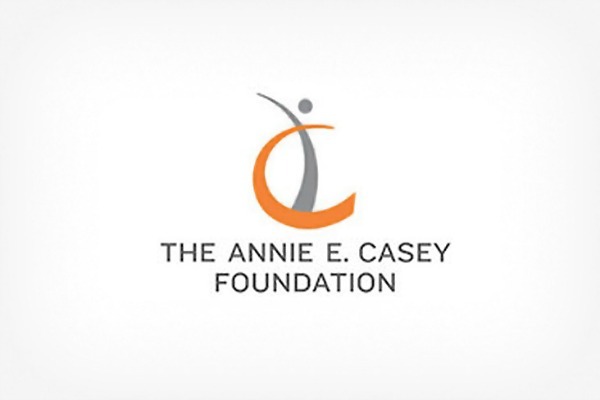 Find data and research on child health, early childhood education and development, K-12 education, and more. 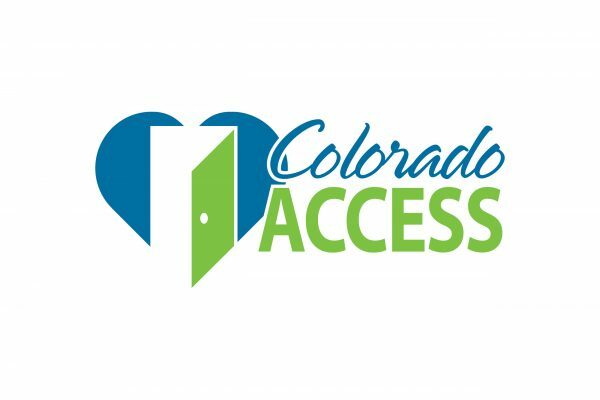 Track important legislation and policies affecting Colorado's kids. 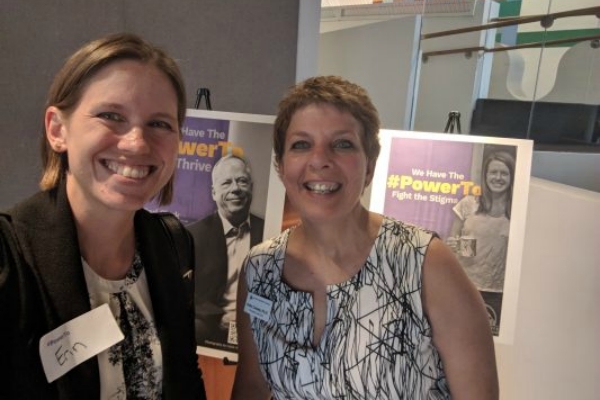 Get the inside scoop on the Children's Campaign's outreach efforts - including information on important fundraising and advocacy events, as well as efforts being undertaken by the It's About Kids and Circle of Friends networks. 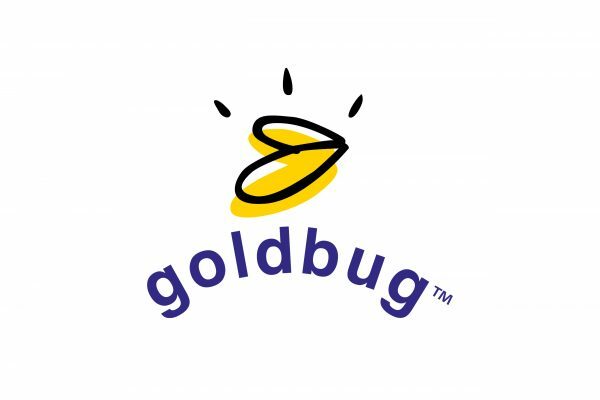 The KidsFlash blog is your connection to the resources and information your need to make a difference in the lives of Colorado's children. 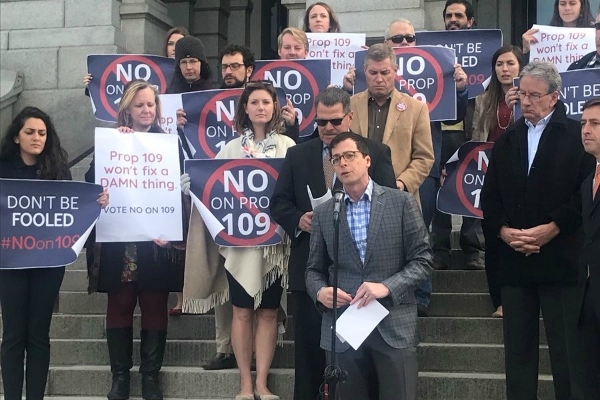 Children’s Campaign attends press conference urging Coloradans to vote no on Proposition 109. Proposition 109 won’t fix Colorado’s roads, but it will cost us. With no sustainable way to repay the bonds issued by Prop 109, Colorado must set aside $260 million each year for the next two decades. 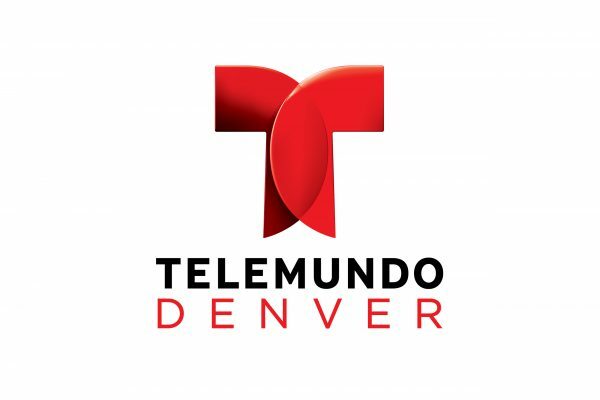 Don’t forget to vote YES on Caring for Denver–Initiative 301! 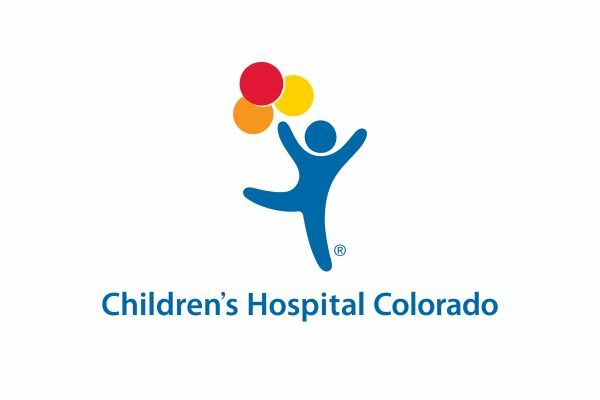 As we noted earlier this summer, the Colorado Children’s Campaign is supporting a ballot measure that could drastically improve mental health and addiction services in Denver. Vote yes on Caring 4 Denver, Initiated Ordinance 301. 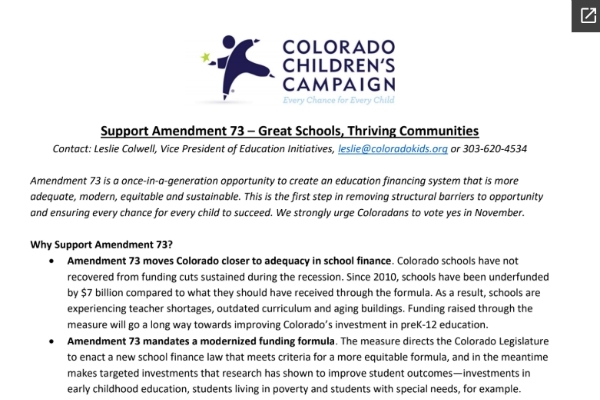 The Colorado Children’s Campaign has analyzed the ballot measures impacting kids and we urge you to vote to support education, family economic security, mental health, higher education access and much more. 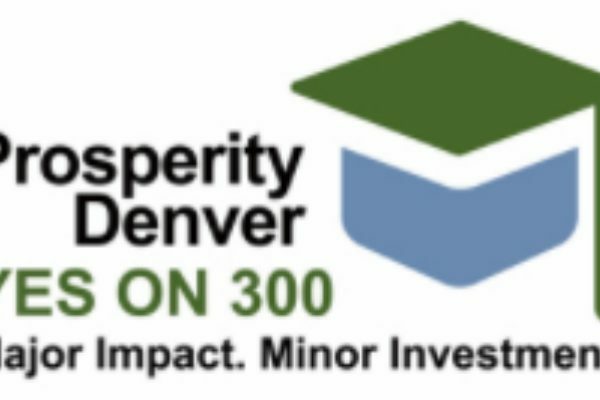 The Colorado Children’s Campaign supports the Denver College Affordability Fund, also known as the Prosperity Denver initiative or Initiative 300. 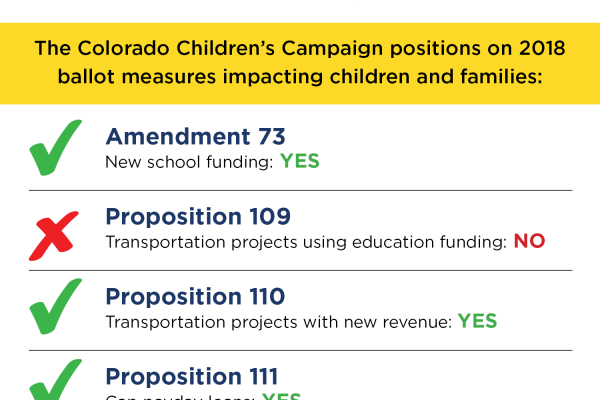 The Colorado Children’s Campaign is urging Coloradans to vote NO on Proposition 109 and YES on Proposition 110 because addressing our transportation needs should not endanger the programs and services that support Colorado children and families. 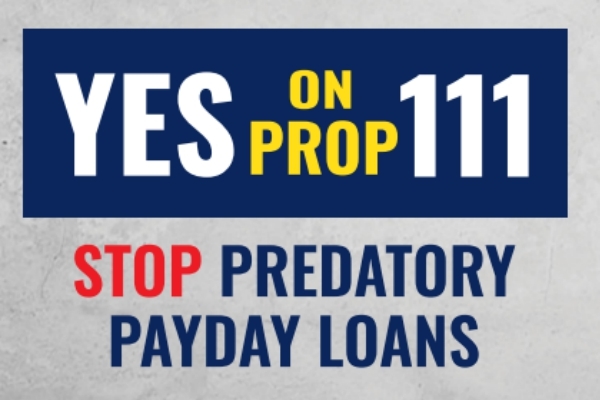 The Children’s Campaign is urging Coloradans to vote YES on Proposition 111 to cap the interest rate on predatory payday loans. If passed, payday loans would be subject to the same maximum allowable interest rate for all other installment loans in Colorado. 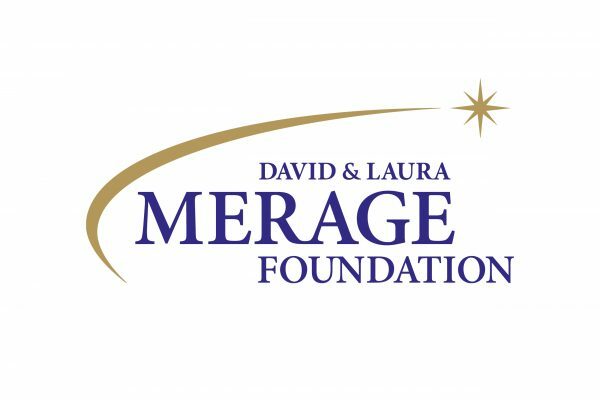 The Caring 4 Denver initiative, which was launched this week, would provide a sustained source of funding to provide mental health treatment and services for children, suicide prevention and substance use disorder treatment in Denver.